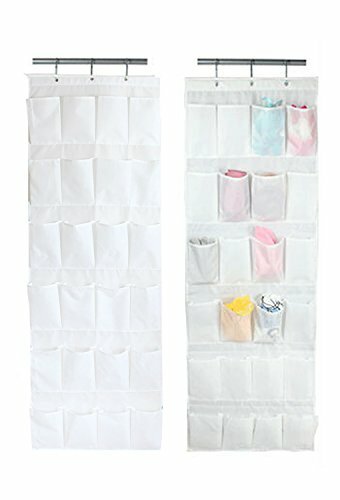 DESCRIPTION: Large capacity hanging bag with 24 pockets is designed for your home storage, lots of slots design keep daily supplies organized well, create a clean and tidy living environment for your family, Also can be used in bedroom, study room, toilet, kitchen, office and so on,a ideal storage organizer. 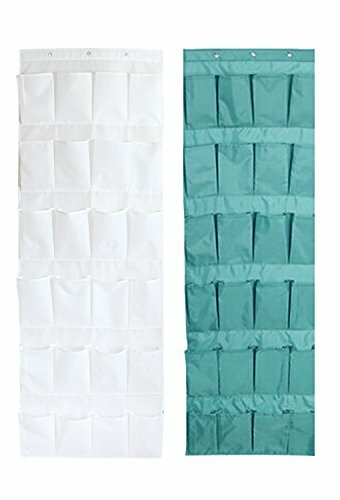 • Installation :Behind Doors / On Walls / Office,etc.Material:Premium non-woven fabric,breathable,well ventilate, environment safe and anti-bacterial.All the seams look strong and well stitched to storage more stuff. 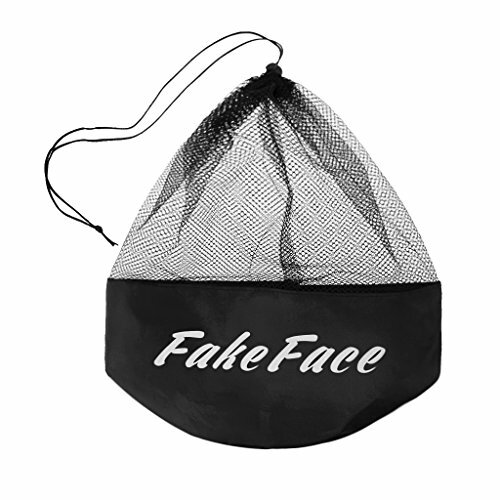 Your white order fulfilled by Amazon will along with a free Fakeface pocket. 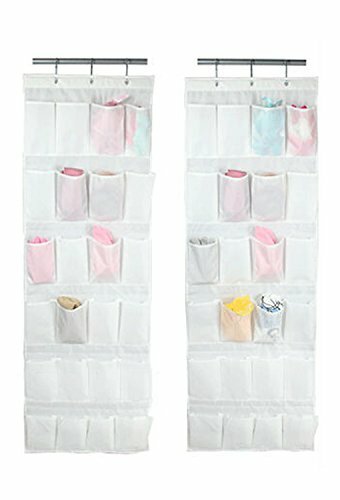 Size:163*48cm, 24 pocket, pocket size 21*11cm, 6 Layers,large capacity for store and organize your daily gadgets in order, such as underwear, socks, shoe,toy,scissors,lingerie sock clothes, sticky notes, makeup brushes, cosmetics stuffs and so on. Save floor space. 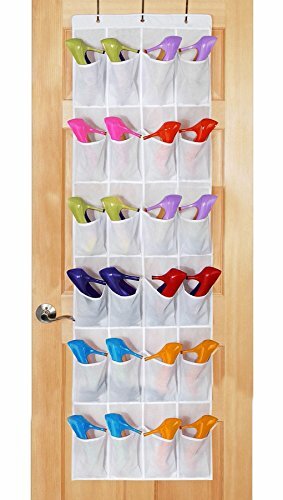 This hanging storage pocket is easy to assemble, no tools needed,quickly hanging it with 3 sturdy stainless hooks provided on the wall or behind the door of your bedroom, study room, toilet, kitchen, office, etc. 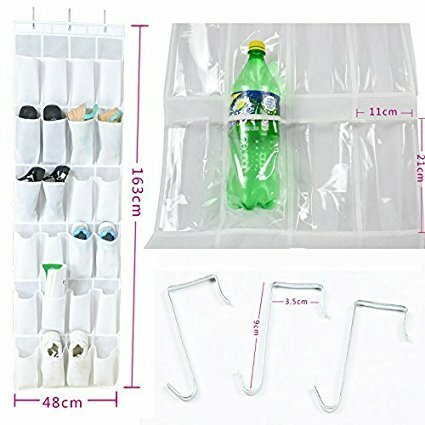 Stylish look, exquisite tailor, practical design, light weight, ideal for organizing your home dormitory office in order and creating additional storage space.